what’s the story of our clothing? On April 22 we celebrate Earth Day. This month’s posts will honor the tenets of Earth Day by exploring how we, as clothing consumers, can reduce our impact on the environment in practical, doable ways and feel great about how we look at the same time. Read on – knowledge leads to action. Do we really know? Who makes it and where? How are those workers treated and paid? What resources are used in its manufacture? What pollution is created as a result? What are the real costs of transport, including energy use? What happens to clothing when we throw it away? Frankly, it’s a lot easier to live without knowing the answers to these questions, because they are grim. There IS hope, however. A few weeks back I participated in a panel discussion following a screening of the powerful documentary The True Cost, which grapples with these ethical issues surrounding the fashion industry and, particularly, “fast fashion.” The film is a wake-up call to the industry and consumers alike. The way we produce our clothing today systematically supports the violation of human rights of garment factory workers as well as takes an enormous toll on the environment and human health. Hosted by the department of Apparel, Merchandising, and Design at St. Catherine University, the screening was attended by ~200 people, and an interesting discussion with film director Andrew Morgan, myself, and a professor of philosophy at St. Kate’s delved into changes that must occur in the fashion industry’s practices as well as consumer behaviors. My contributions addressed specifically the latter – consumer behaviors. 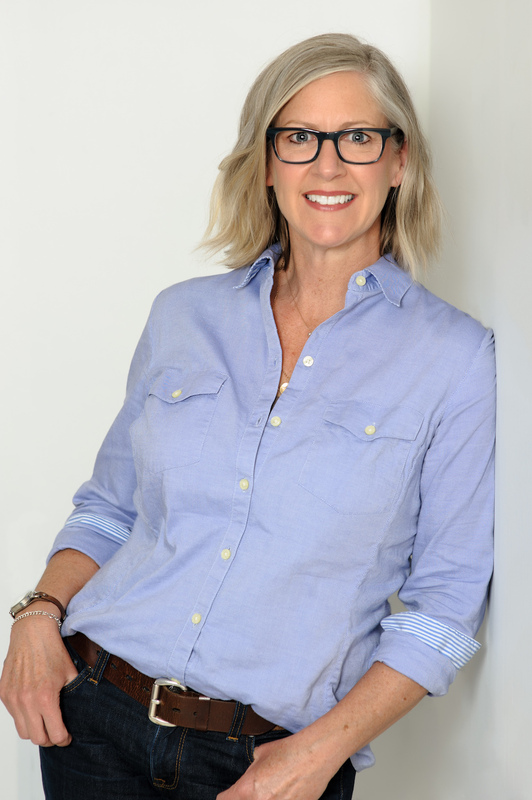 The tagline for nancy dilts wardrobe consulting is “style for everyday: new to you – true to you.” I launched this business because I want to help others feel great about how they look AND to share the model of practicing sustainable consumerism. We want to feel fashionable and attractive by staying current with our clothing. And we want inexpensive clothing. Fast fashion is the culmination of those demands, providing new trends at an affordable price – for the consumer, that is. The true costs (thus, the title of the film) of creating our clothing are hidden. Fast fashion has utterly changed how we perceive clothing and fashion. Trends are now weekly, rather than twice a year (Fall and Spring), causing a fevered desire for new things constantly to feel in style. And clothing is so inexpensive – and cheap in quality – that it has become considered to be a disposable item. It only cost $5.99, so who cares if I wear it only once or twice? I’ll just get a new one. But we should care. Though WE are not bearing the actual costs of this approach, other human beings and the environment are and at an enormous cost. Workers in developing nations who manufacture most clothing today are paid pennies a day and work in conditions that first-world nations, including the United States, would never allow. Practices utilized to grow cotton and to create other fibers for our clothing and to manufacture garments pollute the environment and impact the health of surrounding communities. Billions of garments are manufactured annually and are transported around the world to consumers like us, who wear them just a short time before throwing them away and moving on to the next item, continuing the cycle. “There was a time, not too long ago, when well-made clothes were standard, available in catalogues, malls, and chain stores. Sweaters were often hand-knit, jackets were tailored and lined, and dresses had blind hems. A look through a JCPenney catalogue from 1990 shows that most clothing was still made in the U.S. as recently as 25 years ago. What’s changed since then, in addition to products’ quality, is consumers’ expectations about price. The cost of clothing was in a period of deflation for almost 20 years before edging up more recently. That drop was largely the result of the globalization of the fashion industry and the movement of garment manufacturing from unionized shops in the United States and other developed countries to low-wage factories with few environmental regulations, most of them in Asia. In the last few years, the unethical practices of the fashion industry have been exposed by the deaths of thousands of garment workers in building collapses and fires, and the call for change is sounding. There are several startup ethical brands, and some high-end designers are shifting towards ethical manufacturing and transparency in their practices. A cohort of journalists, filmmakers, and activists are advocating for systemic change as well. The supply and demand relationship between the fashion industry and consumers is like the chicken and the egg dilemma. Who needs to act first to make change – the industry or consumers? We grappled with this in the panel discussion at film screening. I believe both must happen and that the power of numbers can drive change. We see this with other human rights issues; when enough people will no longer stand for something, change occurs. Consumer behaviors, if in significant numbers, CAN drive industry practices. If enough consumers shift away from supporting unethical practices, the industry will be forced to respond. By becoming aware of the real impacts of our purchasing choices – and acting accordingly – we can reduce demand for fast fashion. How do we do that? We can’t wear the same clothes for the rest of our lives! Maximize the functionality of your existing wardrobe. Shop new-to-you whenever possible when purchasing clothing. When buying new, shop ethically. Most of us have too many clothes in our closets, many of which we never wear. Purging ill-fitting, outdated, and worn out items is the first step in making the clothes you already own more functional. These items bog down your wardrobe and make it hard to even SEE the possibilities with clothing that does work. Less IS more. Read posts about making your wardrobe more functional here. Shopping new-to-you is the most practical, and effective, way to be a sustainable consumer. Keeping high-quality clothing in the use stream reduces waste as well as demand for the manufacture of new clothing. It is also economically more feasible at 1/3 or less of retail prices, allowing consumers to purchase higher-quality garments that will last longer at affordable prices. Sometimes we must buy new. When we do so, investing in high-quality pieces that last in both construction and style is a must. There are many brands selling ethically made clothing, and yes, much of it is expensive. By first shopping new-to-you, your budget will allow the purchase of fewer, but enduring, high-quality new items. We shouldn’t have to choose between feeling good about how we look and feeling good about what we buy. The story of our clothing can change, and we can be a part of that. Watch The True Cost. Become informed and then share that knowledge with others. We, together, can make change in our consumer practices, one new-to-you garment at a time. Stay tuned for my next post – a resource guide for shopping new-to-you in the Twin Cities and shopping ethically!